At James W Roofing, we're more than aware that a roof can bare the full force of the British weather and can often be left needing repair. We cover a large range of roof repairs and will be able to apply the best techniques required for your specific roof type. In order to prevent roof failure it is always wise to consider roof maintenance as an option, this is ideal for roofs which have been installed 10 or more years ago and need bringing up to modern standards. You can rest assured that the team here will look after your roof and repair or maintain your existing roof using the highest quality materials and the best techniques. If your property has been damaged by a storm or has just developed a leak over time then you'll be happy to know we offer an emergency roof repair service where we will respond to your enquiry as quickly and efficiently as possible. In this instance it is always best to speak to our team via phone on 01706 881 256 where we will be able to advise you of the possible opportunities for repair and also the next steps you need to take to have your roof repaired so that it is sufficiently protecting your property from the elements. No job is too small or too big, if you are looking for a roofing contactor or guttering contractor in Manchester then look no further! We deal with both domestic and commercial roofing so get in touch and let's see how we can work together to provide your property with a better roofing solution. 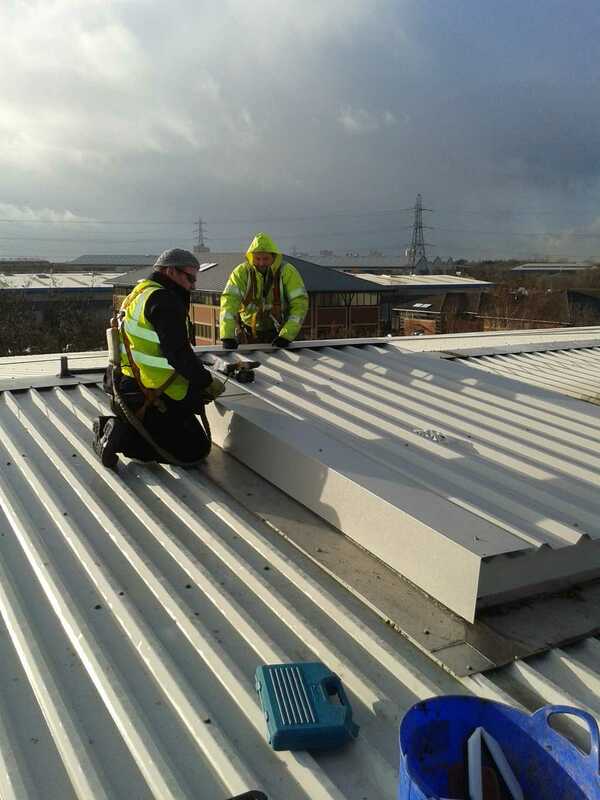 We accomodate for all types of roofing & guttering work including simple maintenance work, re-roofing your existing property and also working with building contractors to install roofs on new build properties. Our roofers are highly skilled and experienced in all aspects of roofing work. We cover all types of roof maintenance and renewal, slate roofs, tile roofs, flat roofs chimney work, lead work, gutter and water pipes, and roof repairing services in Manchester. Please view our gallery to see the quality of our work for yourself or contact us to find out more!